I spent this past Saturday enjoying an awesome day with my 2 nieces and nephew. 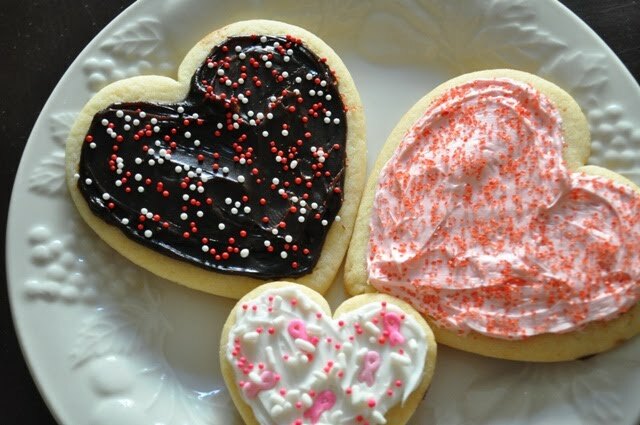 One of the activities we did was to decorate heart shaped sugar cookies. 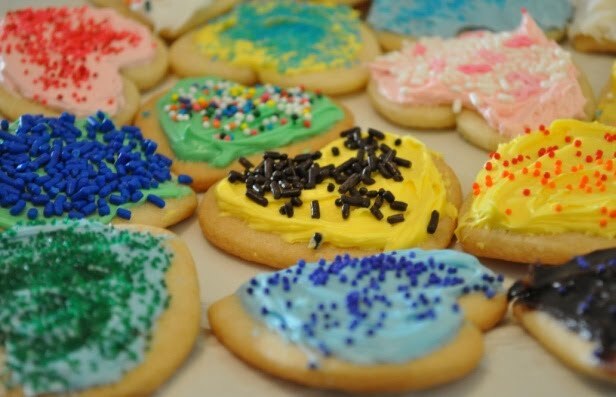 The cookies were simple...a Betty Crocker sugar cookie mix and a variety of store bought frosting. 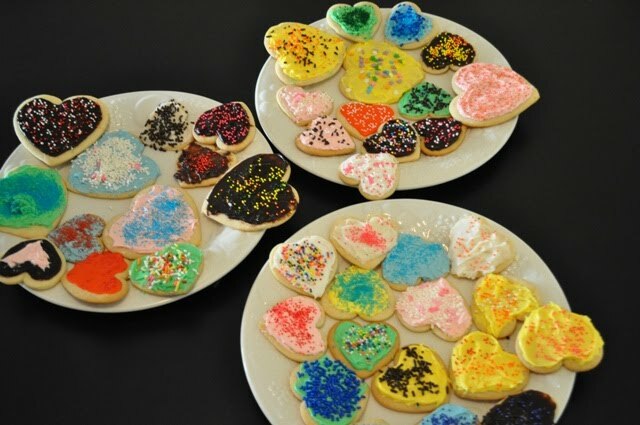 Throw in a little food coloring and some sprinkles and you have cookie master pieces in the making! And a little bit of mess. But that's half the fun right? We packaged up the cookies to give to the kids parents. The kids did a great job and we all had a blast.